This is about to be one of the NOT best posts I have ever written. And here’s why: It’s just to get me writing again. In the land of blogging I seriously dropped off the planet almost exactly a year ago. I know it. And it’s a heck of an explanation why. And it’s been a heck of a ride over the last year. But it’s also a heck of a way to kill your blog. Do you know how hard it is to get back to writing when you have taken a significant break? It’s DARN HARD. You may not know that I started writing in 2010 on another blog with an entirely different beginning. It was to communicate to friends and family what we were going through. We had so much crisis going on that it was almost impossible to keep everyone up to speed. And I really needed a way to ask for specific prayer support. That was how things started at Ellie Belly Updates. And over 3 years later it was far from how it ended. I jumped over here in an effort to make some changes. From sick to healed. From crisis to hope. I tried…but it was harder. Some life circumstances had changed. Job change. House change. Reliable internet change. Other changes. And it all went downhill from there. I even stopped popping in as much to GAPS Kids, something I am extremely passionate about. I resolved that I needed a major break, and I did. But I know now that a whole lot of my problem was trying to decide if it was worth it. Worth the time. Worth the effort. Worth the energy. Worth the vulnerability. After I switched websites and wrote about more than just Ellie, the emails and comments…changed. For some dumb reason I was shocked. People took time out of their day to purposefully spew anger and hurt at ME. And I was quite….surprised. Isn’t that just dumb? Me, I mean. What was I thinking? That everyone out there would pat me on the back and thank me for sharing my controversial information? For rocking their boat a little? And nod understandingly, maybe even pat me on the back, because of the amazing education and healing I have witnessed in my home? That they would cheer me on because of it? I had absolutely no idea how much DRAMA there was out there in the land of bloggers. You see I looked UP to many of these mamas who had ventured into the land of blogging to educate and help others. I used many of them as resources as I transitioned into the land of real food, and many of them I have had the chance to meet, speak to, and even get to know. I didn’t see them as colleagues. I saw them as models to learn from. Norway They were ROCK STARS. And all of the sudden I felt like I was being hazed…by THEM. I did my research well before posting. I take the spreading of accurate information and teaching very seriously. And I was ready to explain or provide accurate information whenever needed. I had no idea they would talk about ME instead of the information. Seriously. I kid you not. 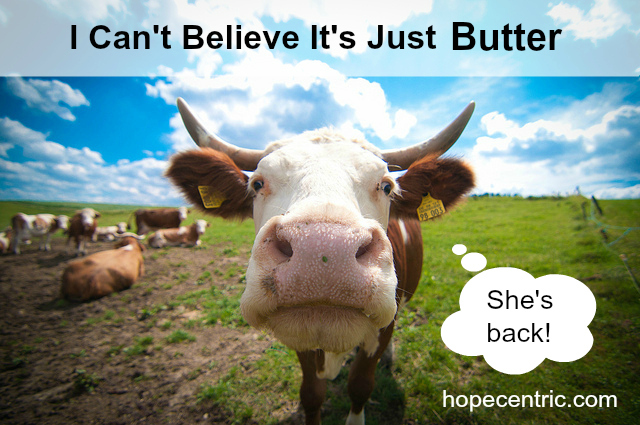 Have you seen the post I did about butter? Holy Parkay, Batman. Here’s the deal. I wrote about butter because once upon a time I had a kid who would vomit for up to two weeks, and risk severe dehydration that would land her in the emergency room if she even got a lick of some corn 50 times removed. Finding out that a little bit of corn was fed to some cow somewhere would be the reason for the screaming and crying little girl I would hold for night after night after night. I knew there were mamas who NEEDED this information. They needed to know their butter may not be what they thought. And in the words of the Fonz…WHOA. It was like I had entered the land of blogger hell. As if I had ticked off some secret Kerrygold cult. Did you read some of those comments? I was the topic of conversation on facebook threads. Other bloggers took my post and wrote rebuttals. Some quoted me. Some slammed me. Some just flat used my content to drive traffic to their own blog. And with that I had a quick 101 in blogging drama and politics. Now wait. In all fairness it wasn’t 100% like that. I was not bashed by ALL. But it was enough to make me stop and wonder what in the world had I stepped in. And it caused me to pause and reflect on how visible and vulnerable I make myself and my family by hanging it all out here on the internet. I needed some time to ponder that. What I finally decided was that it was all worth it. Spending the time and effort and energy and vulnerability to provide information and resources to those who are in desperate need of them, those who are searching the internet for help like I once did,…makes it soooo worth it. adsense protection Spreading hope is always worth it. So on that note, let’s rock and roll back into the land of learning and growing. And hope spreading! Hope is contagious! Pass it on! I did miss you, dear friend. Can’t wait to read more! I missed you! Welcome back. I’m ready to be inspired and educated. Unfortunately, what we are choosing to do is very controversial but the world needs brave people like you to create change. The pendulum will start swinging our way but we have to keep pushing it. Yes, we missed you!! Welcome back! Yes ma’am I have missed you!! I’ve gleaned much wisdom from your blog pages. So, welcome back!!! Wow! That’s such a compliment! Thank you! I try to tell myself that that backlash just means that I’ve “arrived” as a blogger, but it’s really hard when I’m being attacked as a mother for admitting parenting a severely handicapped child is hard. May the Lord bless your words for His glory!!!! Nathalie and I are doing our best to remove ourselves and our animals (over a hundred right now) from GMO foods/organisms. What a challenging thing to accomplish these days, organic does not cut it. We recently learned how conventional manure may be used to fertilize organic crops…which was an eye-opener and a huge defeat to the way we try to live. Since learning this, we have found a closed-circuit organic farm where we can buy our grains used for sprouting to feed our meat birds (77) layers (13), goats (2) and 7 new chicks that will be added to our laying flock. Our meat birds are 2nd generation non-GMO freedom rangers. We recently hatched out our own offspring from our spring batch to see if we could. Our meat birds have 3-4 more weeks before processing…this will be our first batch of non-GMO, grain free meat birds, and we are anxiously awaiting the outcome. Our challenge is creating a mash for the chicks as they are too small to eat the sprouted grains even when I smash them, so I am attempting to make a dry mash for the 7 chicks still in the brooding box. What interesting news about conventional manure on organic crops being an issue…that never crossed my mind. UGH! Those GMOs sneak in EVERYWHERE! Thats wonderful news on your chickens! I have not done my own feed for chicks because it is so time consuming, and we have had a lot of loss in the past. I am excited for you with your first batch of meat birds! Will you be processing them yourself? Nichole, thanks for the reply. The feed is VERY time consuming. All their feed is sprouted, but I feel what’s better for them is better for us. And, yes, it has been proven that the GMO organisms in the manure is also transferred into the crops…it’s an exhausting battle. We do process our chickens ourselves with the help of friends who own a small commercial organic farm close by…even with the 4 of us, this many birds will be an all day affair. A question I have for you: what I am sprouting are actually grains (excluding sunflower seeds or peas); so when you say ‘grain free’ do sprouts qualify under that category? They do not get any pellet feed sold commercially. No corn or soy. And, most importantly, they are 100% non-GMO and organic. At what level would you classify these chickens at as far as the GAPS diet and also for people sensitive to grain fed meat animal products? The ‘grain free’ feed title is one that gets lots of questions. My feed is based off of seeds rather than typical cereal grains. There is also a lot of debate and cross over in actual classification. Our main goal is to avoid gluten. As far as GAPS, some people find healing with conventional meats, so it is very individual. What you feed your chickens is more about a proper feed and healthy animals. Anything an animal is fed will show up in their meat, so that is individual as well based on specific allergies and level of sensitivity. Michelle can you share your grain free chi know feed? This is our first foray into grain-free, and our chicks arrive soon! Thanks! I just found your blog as we embark on trying to heal my kids’ allergies! We have raised chickens before, but never at our current home and never before GRAIN FREE!!! But, that’s the goal and until now I wasn’t sure it could be done-your blog is aptly named; I now have hope! I do hope you are back to blogging-your voice is valuable! And I selfishly need more help with my chickens, lol! Excellent post. You are such a good writer. Thank you for writing for all of us who are desperate for the information. God bless you! A Real Food Chef: Want it?